As is common throughout the healthcare industry, microbiology labs are under pressure to improve output without sacrificing quality or increasing costs. In many cases, microbiology labs are the first line of defense when it comes to mitigating situations that may disrupt hospital workflow and inadvertently place patients in harm's way. 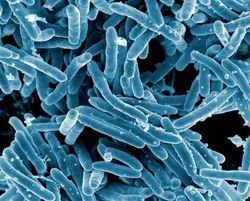 One primary example is early, accurate diagnosis and effective communication of results to avoid patient exposure to healthcare-associated infections (HAIs). Rapid detection of harmful bacteria and viruses can be key to reducing instances of locked-down wards and to keeping HAI rates low, but there is certainly room for improvement. According to the Centers for Disease Control and Prevention (CDC), approximately 722,000 HAIs occur annually in US acute care hospitals. On any given day, about one in 25 hospital patients has at least one HAI, according to the CDC. 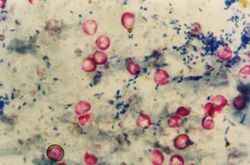 While new diagnostic technologies in microbiology labs can help in identifying and investigating the spread of HAIs, informatics tools are sometimes overlooked as part of the solution to a multifaceted problem. Utilization of informatics solutions can help labs streamline their workflows and reporting, which in turn may help hospitals make progress toward their HAI reduction benchmarks. Informatics solutions can help clinicians expedite the delivery of diagnostic information, thereby enabling timely clinical decision-making, whether it’s isolating a patient colonized with an antibiotic-resistant infection, or quickly identifying and determining therapy to treat an HAI. Implementing informatics into a lab workflow could expedite the reporting of results and potentially help reduce human errors. However, informatics solutions are currently underutilized in diagnostic labs. The reluctance to adopt new informatics technologies may lie in the obsolete informatics systems found in many labs, which can hamper productivity. These outdated and fragmented systems often require labs to process large amounts of work manually or to rely on a variety of middleware systems that may only complete a single stage of analysis. The lack of integration, combined with variable data storage or formatting, makes it almost impossible to achieve a streamlined workflow that allows for easy access across the ever-growing networks of labs and their satellite locations. The limitations of older informatics systems have been addressed with improved informatics platforms that offer a single, centralized system that links all instruments to one common middleware solution. Some of these solutions have the flexibility to connect additional instruments over time and can centralize data from operations across multiple sites. Not only can these solutions make it easier to deliver results to clinicians, but they also aggregate data, helping labs gather information needed for compliance reporting. In some cases, these technologies can extend the reach of key personnel. 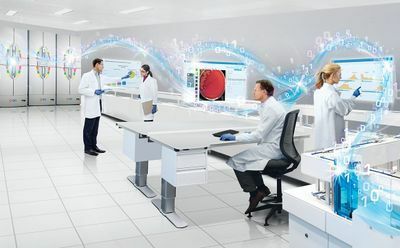 Informatics can offer lab personnel access to the same information anytime and anywhere via virtual bacteriology and telemicrobiology capabilities, which may reduce or eliminate the need for on-site intervention or consultation. This benefit is especially meaningful in large lab networks with many satellite locations because the added responsibility of visiting multiple sites can reduce productivity and be burdensome for key personnel. Together, these benefits enable labs to provide faster turn-around time, realize cost savings, and improve efficiency. Informatics can also help to enable expedited decision-making by the clinical team—pharmacy, physician, infection control, and nurses—to help guide patient care. A more streamlined informatics approach may also provide other benefits: it can simplify onboarding and lab training and improve ease of use by reducing manual processes and technological redundancies inherent in multiple middleware systems. These workflow benefits can go a long way toward helping clinicians provide quality patient care. Informatics solutions may assist clinicians in providing more timely diagnoses, and therefore may potentially expedite patient management decisions. In addition, rapid diagnoses may help hospitals prevent the spread of HAIs and antimicrobial-resistant infections by enabling infection control departments to respond in a timely manner. Rajeev Sehgal, Director of Informatics at BD (Becton, Dickinson and Company), is an experienced healthcare professional with a proven track record in building and commercializing healthcare informatics solutions. He has an undergraduate degree in Computer Science and Engineering from IIT Varanasi, India and an MBA from Carnegie Mellon University, Pittsburgh. At BD, Rajeev leads the Informatics business and is responsible for strategy creation, roadmap execution, and commercialization. Prior to BD, he held positions of progressively greater responsibility at Bayer Healthcare and helped start and build an informatics business. Rajeev is also actively involved in driving industry standards and is currently the Treasurer & Secretary of IICC (IVD Industry Connectivity Consortium).